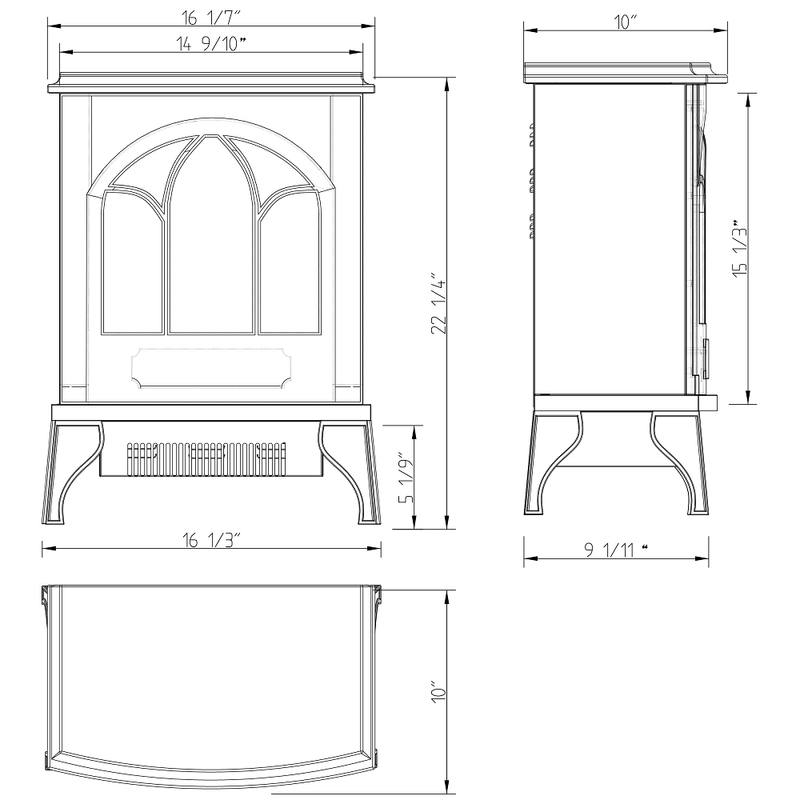 The Juno electric stove delivers a classic picture frame front and dancing flame in a small package. 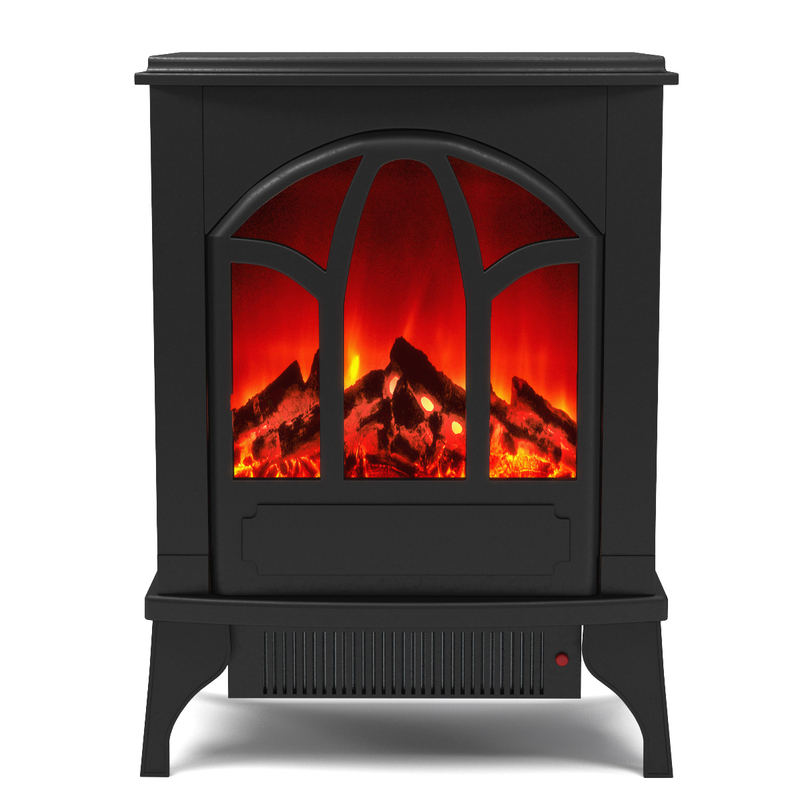 No need to worry about chimney fires, expensive fuel and messy ashes of a real wood stove. With the Juno, you just place it where you want and plug it in to any standard household outlet. This makes it ideal for use in sun rooms, offices, family rooms or anywhere you need additional heat. 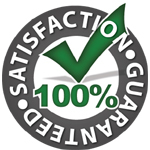 Equipped with a powerful fan-forced heater, you can reduce your central furnace temperature and cut your heating cost. 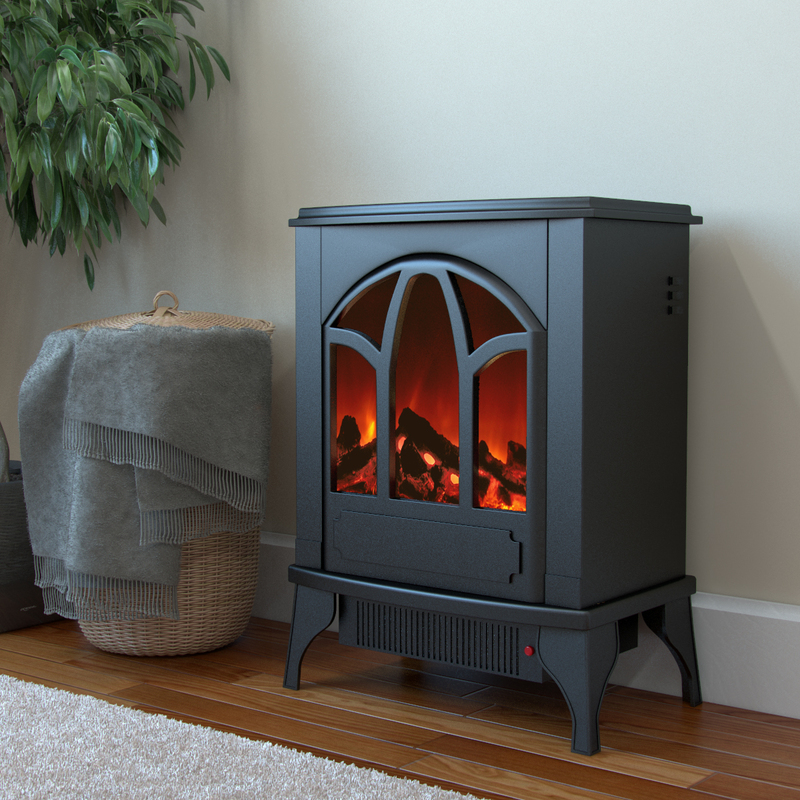 The Juno's traditional aura is enhanced by the realistic matte black finish and subtle metallic highlights. 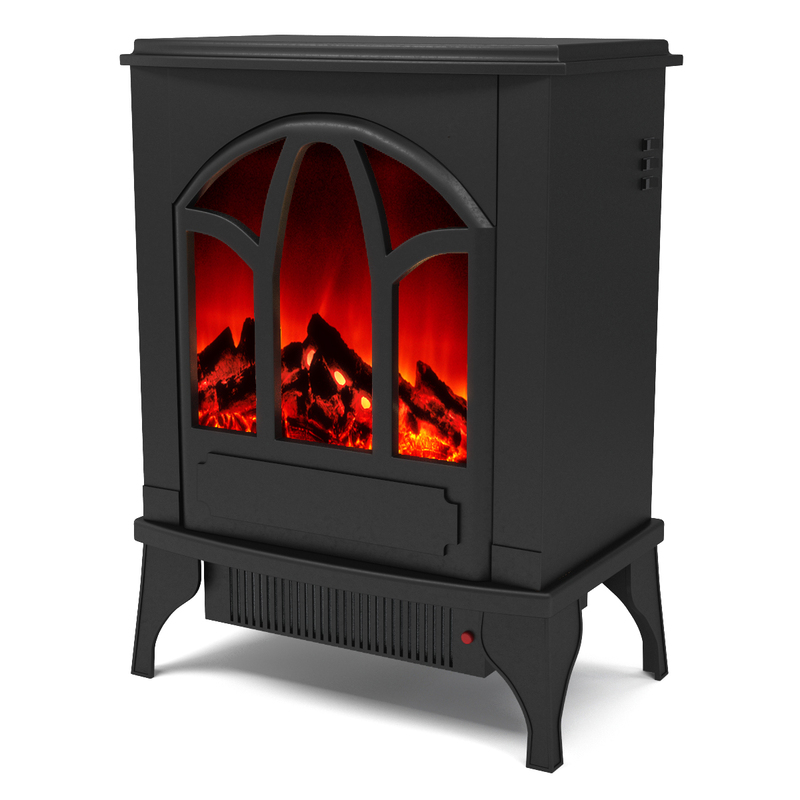 You will love the Juno's powerful heater on chilly nights; it can warm a room up to 400 sq. ft. and stays cool to the touch so children and pets stay safe. Portable and easy to use!! I love my portable fireplace. We get cold winters and I love than I can carry this to any room that needs an additional heat source. Very pleased with the product for the price. I purchased this heater for my mother, who is always cold, despite the fact that we live in central Florida and the indoor temperature is 75 degrees. Not only the heater keeps her room warm, but also goes very well with the antique decor of the room. In addition, it is quite relaxing hearing the soothing noise and seeing the flames.